If your marketing and business-building efforts aren't quite producing the results you'd like, or even if you'd like to take your existing results up by a giant notch, you need to get this report and put it to use immediately. 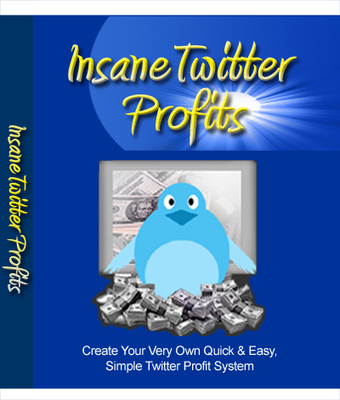 This special report, and system, is called "Insane Twitter Profits!" and it does what I've explained above. Insane Twitter Profits business building;marketing;twitter 80460931 23.00 wohli1963 Fresh Download Available!